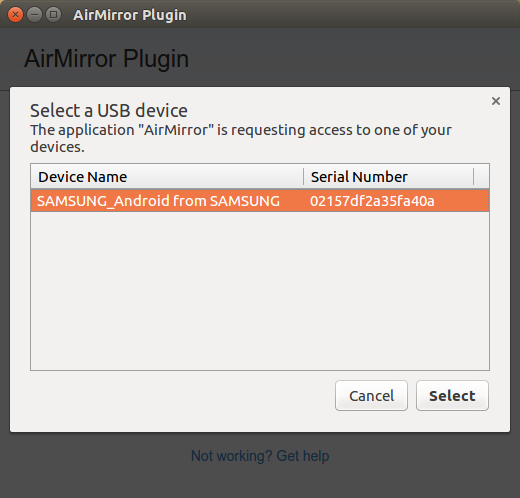 I seem to having difficulty getting my Non-rooted Samsung Galaxy S4 to work with Airmirror. I have a windows PC and my phone is connected to the computer using a usb cord, I have the debugging option taken care of, but I cannot access the airmirror abilities of the program. I am using Airdroid through my web browser which is chrome. Is there anything that can be done to help? If I root my S4 will that allow it to work with Airmirror? Sounds like the same problem here on my Samsung SM-G920I (Galaxy S6). ...where I can press the "Device authorization" button to start the loop again. Yup, that is pretty much what I go through. Shortly after my post, AirMirror started working correctly. I have no idea why or what might have caused it to start working, so I'm afraid I can't provide any guidance to anyone else.